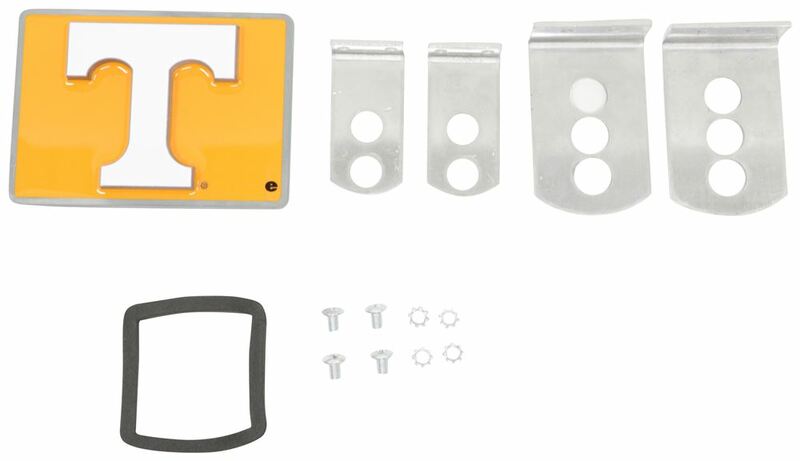 Tennessee Power "T" Logo Trailer Hitch Receiver Cover Call 800-298-8924 to order Siskiyou hitch covers part number CTH25S or order online at etrailer.com. Free expert support on all Siskiyou products. 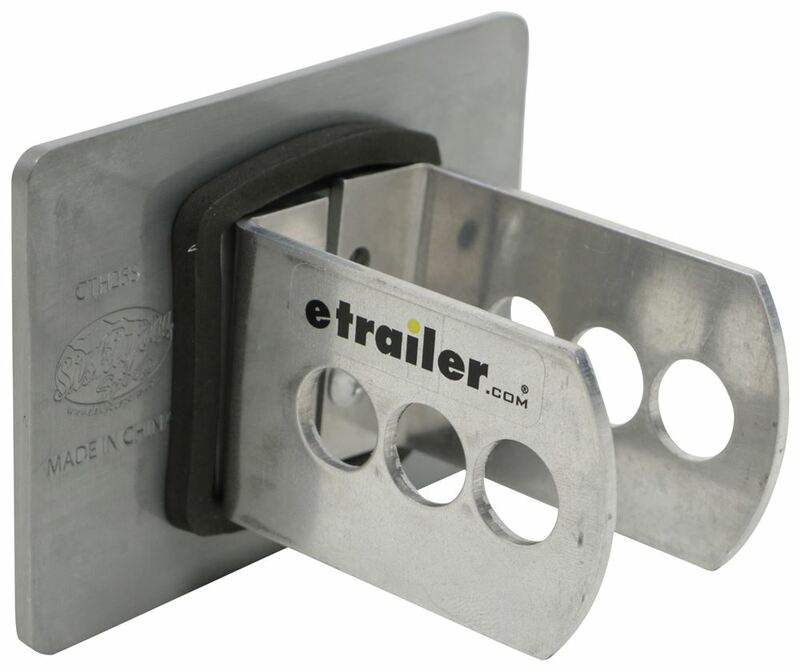 Guaranteed Lowest Price and Fastest Shipping for Tennessee Power "T" Logo Trailer Hitch Receiver Cover. Hitch Covers reviews from real customers. WARNING: This product can expose you to chemicals including DINP phthalates which are known to cause cancer and lead which is known to the State of California to cause birth defects or other reproductive harm. For more information, go to www.p65warnings.ca.gov. Celebrate the Orange and Black with this durable, rust-resistant hitch cover featuring the official, full-color logo of the San Francisco Giants. 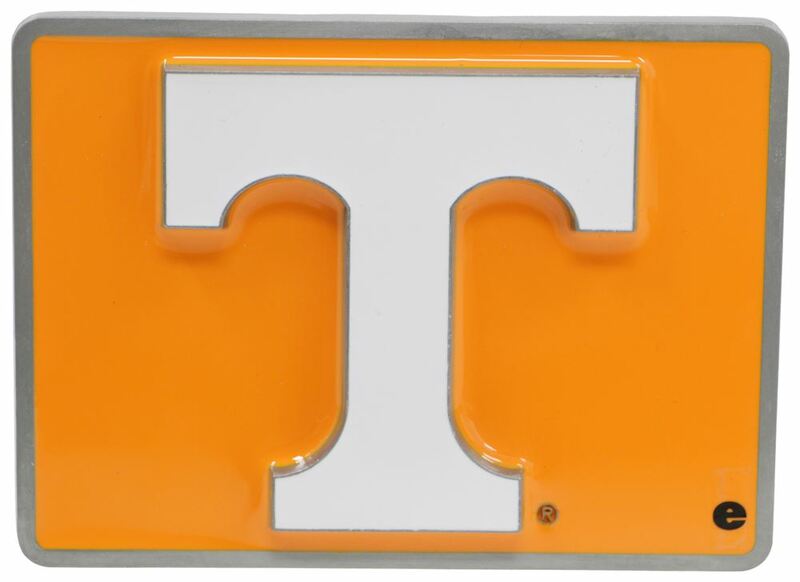 Rugged as 'Ol Rocky Top, this 2" hitch cover would be a hit with any Vols fan. Cover features Tennessee's signature 'T' in chrome, mounted on a black powder coated base. Flash your 'Bama pride - and a little bling - with this hitch cover. The sparkling crystal and chrome Alabama logo is mounted on a rust-resistant, black powder coated base to ensure that your hitch cover will look great for years. Roll Tide! Is holdind up great. Color is still vibrant and looks great. They are still working perfectly and I have no complaints. There is very little rust on the metal hitch cover only the screws and the plastic cover has not faded or cracked. Great products that I would purchase again. You are quite welcome. Let us know if you need help with anything else. I have had this product for one year and it is very nicely made. I have had others in the past that are cheaply made but high priced and they do not last. This was a very good deal considering others on the market. It has stayed on the back of my SUV and hasnt been removed much. The only bad thing I have encountered is the fact that I do not have a garage and my SUV sits outside in the hot sun all day while I am at work, which has made the paint fade on the hitch cover. That is to be expected in the heat of the area that we live in. I am considering getting some sort of automotive paint and filling in where the colors have faded to see what that would look like. well I was rear ended a few months back and it didnt hold up very well to that but I ordered another and its working out great! It works great, but some of the paint has started to come off. Thanks for checking. Thanks for reaching out. If youre talking about the rectangular Houston Texans hitch cover, its still really good. Im surprised at how sturdy it is. It survived a direct rear end collision. The lock was bent, the rear end of my van had about $5K worth of damage, but the hitch and hitch cover made it through just fine. Actually, thank goodness for the hitch set up. The adjustor told me that the H-bar hitch kept me from having major frame damage. The shop had to saw the lock off the cover, but the hitch was unbent and had minor scoring in the holes. 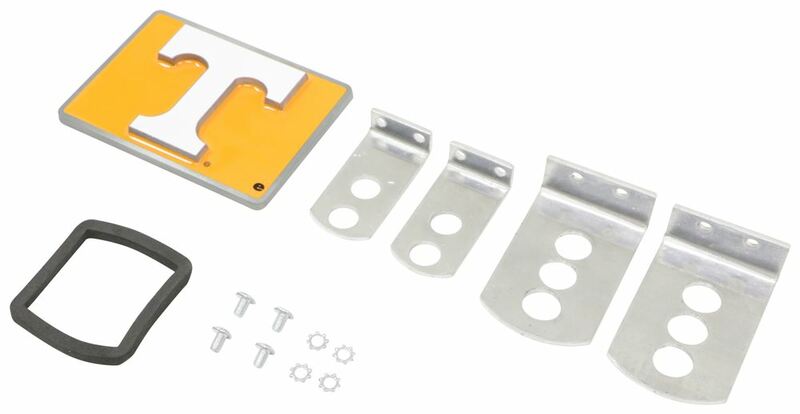 The outside, because of the low profile metal design didnt bend. I got my moneys worth out of that hitch.The only down side is that the white background seems to weather to a beige after a while. Thats okay. Im not complaining! Hope everyone is okay. Just a note to others - if you have been rear-ended by another vehicle, it might be a good idea to replace your trailer hitch, as well. 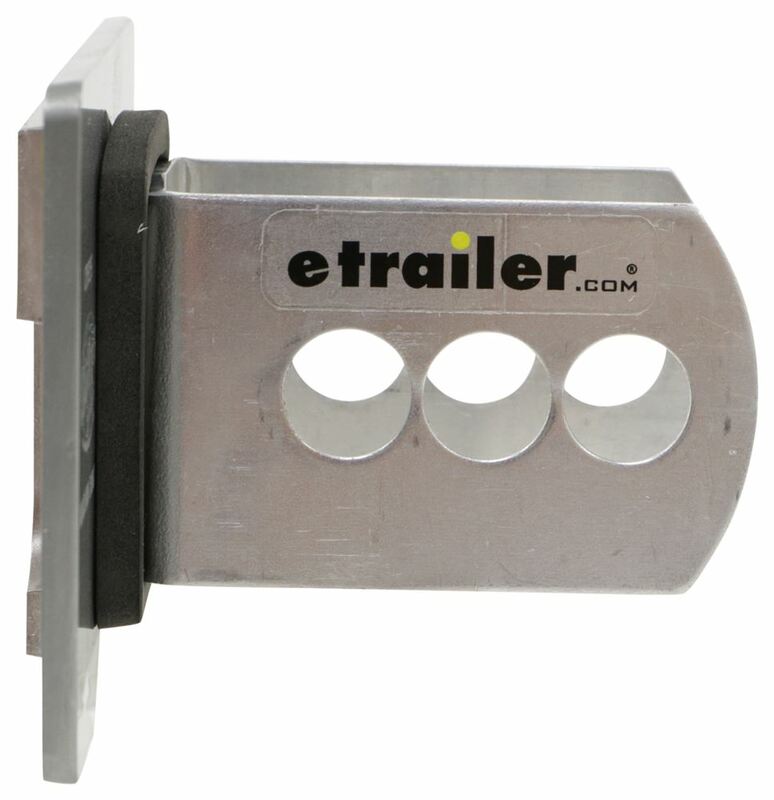 There might have been damage to your hitch in ways that are undetectable. Better to be safe than sorry! After a year of use it still looks as good as on the first day. No chipping, no flaking, no fading. Great quality product. 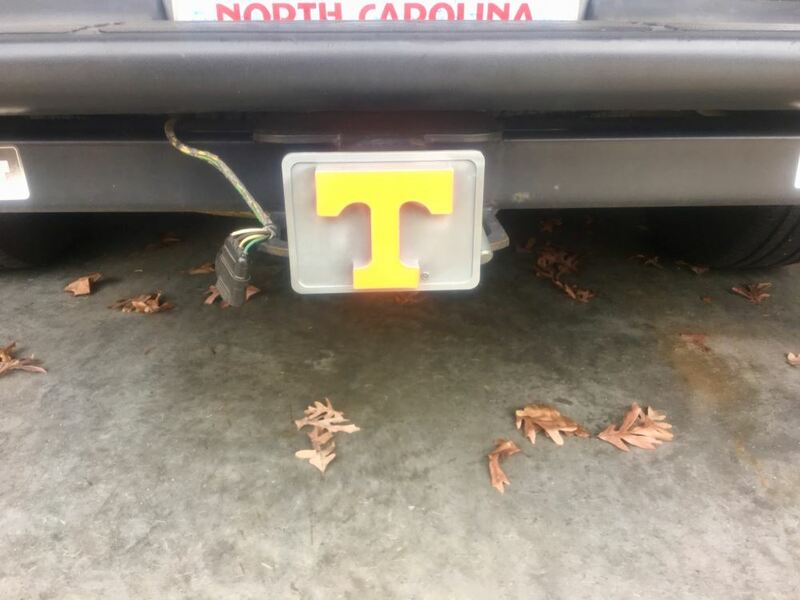 We do have one Tennessee hitch cover that will fit a 1-1/4 inch trailer hitch. 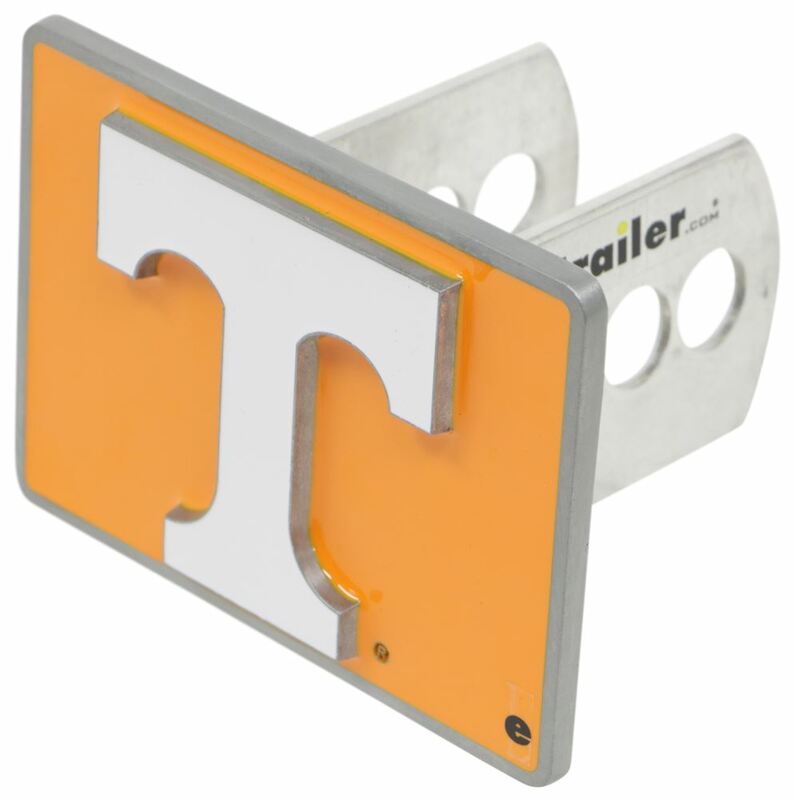 It is the Tennessee Power T Logo Trailer Hitch Receiver Cover, # CTH25S. I recommend adding a locking hitch pin to deter theft of the cover. For a 1-1/4 inch hitch and lock, use # RH2-XL.